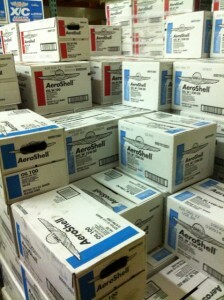 Aviation Products AeroShell and Phillips Oils AVAILABLE! Overlake Oil is an authorized AeroShell distributor with access to the Phillips portfolio. We offer a comprehensive list of aviation lubricants and greases accompanied with supporting documentation such as Certificate of Analysis (CofA) and Safety Data Sheet (SDS), as well as specified shelf life requirements to satisfy a variety of needs to a variety of markets. The markets we serve include general aviation end users, commercial airliners, military, municipal, and aerospace machinists. The aircraft fluids and greases offered are specifically formulated to reduce aircraft maintenance by preventing wear and inhibiting corrosion in tough environments. Is there a specific Mil-Spec product you are searching for? Call 425.822.1776 to speak with one of our experts today!